George J. Pedersen is Executive Chairman of ManTech. In this capacity, he guides the company’s overall strategy and direction, overseeing mergers & acquisitions, and facilitates other significant corporate activity. He also serves as Chairman of ManTech's Board of Directors. 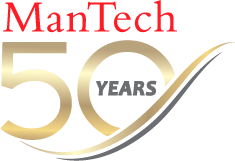 ManTech provides innovative technologies and solutions to mission-critical programs for the intelligence community, the Departments of Defense, State, Homeland Security, Health and Human Services, Veterans Affairs and Justice, and the space community. ManTech has traded on the NASDAQ since 2002, when it was $400 million in revenue. The company has since grown to $1.9 billion in revenue, both organically and through more than 25 major strategic acquisitions. A global team of 8,000+ employees today optimizes advanced technologies in a growing environment that includes cyber solutions, enterprise IT, systems engineering and software development and critical analytics. In 2017, Mr. Pedersen received the distinguished CIA Officers Memorial Foundation Patriots Award. The foundation bestows the award to those whose record of service exemplifies major support to the agency and to the nation. Mr. Pedersen is only the third recipient in 16 years. In 2006, Mr. Pedersen received the Lifetime Achievement Award from the Association for Corporate Growth National Capital Chapter. The annual award honors individuals who significantly contribute to the region’s corporate growth over several years. In 2005, Mr. Pedersen received the James Forrestal Industry Leadership Award from the National Defense Industrial Association (NDIA) for his “demonstrated record of business accomplishment” and his active role in “helping to preserve and strengthen the nation’s defense industrial base.” He was chosen for his “astute business judgment, keen political instincts, and a broad understanding of the vital role the industrial base plays in ensuring the nation’s security,” according to NDIA.